3 Bedroom Terraced House For Sale in Preston for Fixed Price £78,000. 50% SHARED OWNERSHIP There is the potential to buy the full 100%. This delightful three bedroom home provides everything you need for modern living and more. Ideal for the perfect first time buyer home. An internal inspection is highly recommended. The ground floor is home to an open plan kitchen/diner which also features sliding patio doors to the rear garden, allowing the space to be filled with natural light and perfect for bringing the outside in. The living room is perfect for day to day living or relaxing. Added touches of convenience include a downstairs WC. Upstairs you will find three bedrooms and luxury three piece bathroom suite. 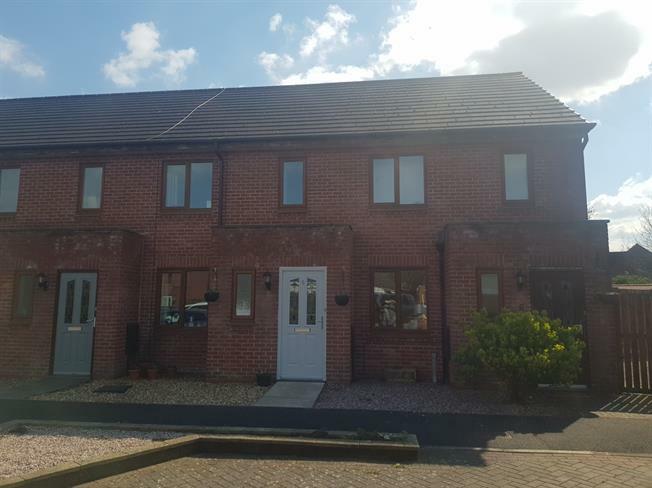 Externally, the property has two allocated parking spaces and stunning laid to lawn landscaped rear garden with decking area. View to appreciate..
Composite double glazed entrance door. Radiator, laminate flooring. Staircase leading to the first floor with carpeted flooring. Double glazed uPVC window facing the front. Radiator, laminate flooring, tiled splashbacks. Low level WC, pedestal sink. UPVC sliding double glazed door, opening onto the garden. Double glazed uPVC window facing the rear. Radiator, vinyl flooring, tiled splashbacks, wall mounted boiler. Roll top work surface, fitted wall and base units, stainless steel one and a half bowl sink with drainer, space for hob, space for washing machine, fridge/freezer. Carpeted flooring. Built in storage cupboard. Loft access with pull down loft ladder and fully boarded for storage. Two double glazed uPVC windows facing the front. Radiator, carpeted flooring, built-in storage cupboard. Radiator, vinyl flooring, part tiled walls. Low level WC, panelled bath, shower over bath, pedestal sink.